Join the Carmel Public Library Foundation for a screening of the film California Typewriter, followed by a community discussion. 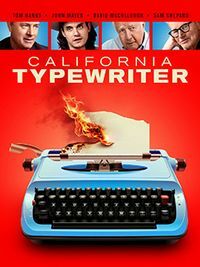 California Typewriter is a documentary portrait of the artists, writers, and collectors who remain steadfastly loyal to the typewriter as a tool and muse, featuring Tom Hanks, John Mayer, David McCullough, Sam Shepard, and others. The film movingly documents the struggles of one of the last standing typewriter repair shops in America, dedicated to keeping the aging machines clicking. In the process, it delivers a thought-provoking meditation on the changing dynamic between humans and machines.